Home Gadgets Apple Watch What is new in Apple Watch Series 4? With the release of the new Apple Watch Series 4, the company seems have started a revolution in the field of smart watches. Watches were considered as mere accessories till some time ago, but with the inception of smart watches, and especially the newest edition of Apple Watch, things will never be the same again. With its amazing looks and astounding features, the product is sure to be a hit among consumers worldwide. Let’s see – What is new in Apple Watch Series 4? 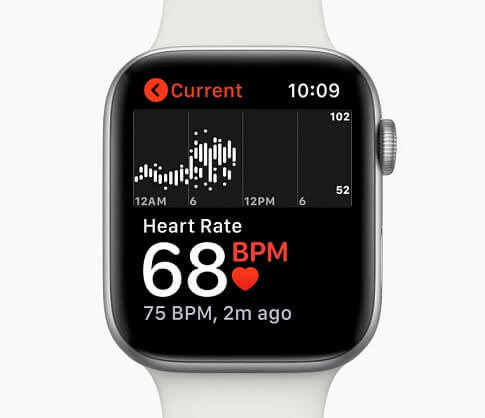 The new Apple Watch Series 4 is designed to offer the best connectivity, fitness and heart health based features to its users. It has been produced keeping the user at the center. The watch is engineered to be your way of life, rather than just a watch. 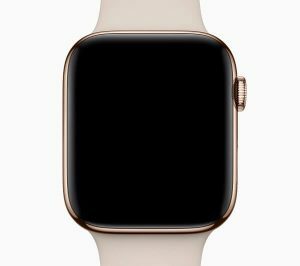 The screen of Series 4 is 30 % larger than that of Series 3. It has been further stretched to the edges, and the corners have been curved to match the shape of the watch. This makes the display look absolutely stunning. While Series 3 was 44 mm in thickness, Series 4 in only 40 mm, reducing the volume of the devise up to a great extent. The back of the watch, further, adds to its beauty, as it is made up of Black Ceramic and Sapphire Crystal. The device is available in beautiful Silver, Gold and Space-grey colors. A sleek stainless steel edition with polished Space-black color is also available. The UI has been completely redesigned to match the display. When the user opens a photo or a calendar, they’ll see more of them, due to the extended display. New apps have been added, and like the UI, they have been redesigned to look prettier and to show more information to users. They’re also more graphical. On the main screen, there are 8 slots on which the users can add the apps of their choice, from music, to photos, to health app and so on. They can add the photos of their loved ones, and tap on it to connect to them. 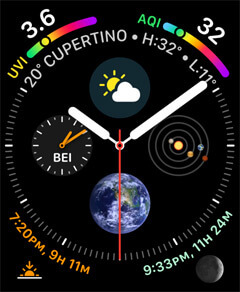 One of the features that makes the display more beautiful are the faces added on the watch screen. It has been incorporated to match the design of the display. There are three main faces – the water face, the vapor face and the fire face. The digital crown on the side of the watch is completely re-engineered, and now, it includes haptic feedback. It gives the user more mechanical and responsive feel. It can be used to easily flip between options mainly in podcast, music and video playing apps. The speakers have been redesigned to be 50% louder. So, whether the user is making a phone call, or making a request to Siri, they can hear an amazingly louder response. The microphone has been moved to the opposite side of the speaker to reduce echo, and make phone calls clearer. The Black Ceramic and Sapphire Crystal back has an operational value as well, as it allows the radio waves to pass through them which significantly improves cellular reception. 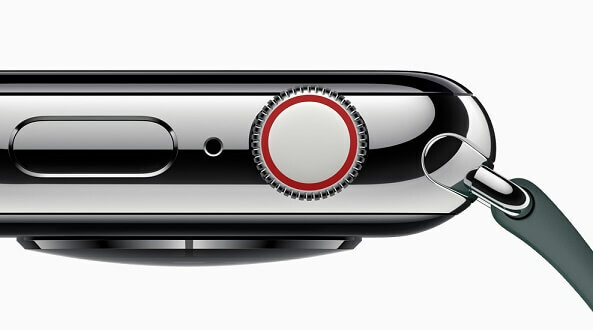 The watch features 4th Generation Silicon in Package (SIP) or S4 as the brain of the watch. It contains a Dual Core 64 bit processor, with a new GPO, which delivers a performance that’s up to 2 times faster than its predecessor. The S4 also has a more advanced Accelerometer Gyroscope for all day activity tracking like walking distance and speed, calorie count, heart rate, swim stroke and so on. It has twice the dynamic range, can measure up to 32 g-forces, and calculate motion data 8 times faster. The Accelerometer Gyroscope, now, allows the watch to identify if the user has tripped and fallen. It activates an emergency call option, once the incident occurs. Then, they could either tap on the screen and call for help, or cancel the option if no help is required. If no motion is detected within a minute of the fall, the watch will automatically call the user’s emergency contact, and send them the user’s location. Optical Heart Sensor allows the watch to detect the user’s heart rate, calories burned in a workout and so on. A new app is introduced in the watch, which is called Heart Rate Notification app. It uses Optical Heart Sensor to calculate the heartbeat, and it notifies the user when their heart rate goes too low. Another new app, known as Heart Rhythm Notification app, uses Optical Heart Sensor to sense irregular heart rhythm, which could be a sign of Atrial Fibrillation. And as soon as the app reads irregular rhythm, it sends the user a notification. Quite an advancement in heart health is the new Electrical Heart Sensor added in the watch. Electrodes have been included in the Black Sapphire and Ceramic Crystal at the back of the watch, and at the digital crown. These electrodes allow the user to take Electrocardiogram, through ECG app installed in the watch, any time of the day, and it takes only 30 seconds to do so. The user can also generate Heart Rhythm, Heart Rate and ECG Reports, in PDF form, using the respective apps, and share them with the doctors. The ECG and Heart Rhythm Notification app has received full support from American Heart Association, and clearance from Food and Drug Administration (FDA). The watch is the first in the industry to offer ECG and Heart Rhythm measuring features in a wearable device, straight to the consumer. The watch also ensures security of its users, as all health or other data are encrypted in the device and on the cloud, to be accessed and shared by the user only. Other features include GPS, Altimeter, Swim Proof, Bluetooth 5.0, and so on. The watch runs with the latest and the most powerful watchOS 5 operating system. It has 18 hours of battery life, and 6 hours GPS tracking ability. It is made to be completely environment friendly. Apple Watch Series 4 is available in two versions – GPS version and Cellular Version. The GPS version is priced at $399, and the Cellular one is priced at $499. The watch has been made available from Sep 21 onwards. The GPS version has been released in 26 countries, and the Cellular version has been released in 16 countries, along 34 networks altogether. Apple is also made its watchOS 5 available for sale from Sep 17 onwards. With such groundbreaking features in the aspects of connectivity, fitness and heart health, Apple Watch Series 4 is sure to make everyone drool for its ownership. As the watch is already available, you can visit one of your nearest stores to buy them, and be the proud owner of probably the best smartwatch in the world. You’re up for a great experience ahead. Previous articleHow to Enable Favicons or Website icons in Tab of Safari in macOS Mojave? Next articleWhat is Stacks in macOS Mojave and how to enable it?